Business owners are concerned that extending the penalty point system to all drivers as part of the traffic reform is unfair to those using vehicles for commercial use. Instead, owners are insisting that drivers using such vehicles should not be subject to the same point system as those who use their cars for personal use. Earlier this week, Parliament started debating a traffic reform aimed to curb accidents. The measures include extending penalty points to all drivers, increasing fines and updating the acceptable blood alcohol levels. While supporting the introduction of stricter rules on driving under the influence of alcohol and drugs and getting behind the wheel without a licence, business owners are insisting the measures as proposed could impact them negatively. Speaking to this newspaper following discussions with its members, Malta Chamber for Small and Medium Enterprises CEO Abigail Psaila Mamo said that while extending the point system to all drivers was intended as a deterrent, it had to be amended in a way that reflected reality. 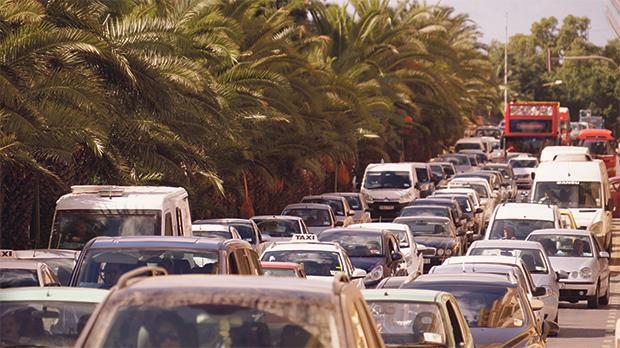 “It is unacceptable that someone may lose his driving licence, potentially ending up unemployed, when this is due to lack of infrastructure and parking spaces,” Ms Psaila Mamo told the Times of Malta. Those delivering goods to shops in certain areas often have no other option but to park their vans illegally, and while this was not recommended, the truth of the matter was that they had few alternatives, Ms Psaila Mamo added. “In the present traffic crisis and inadequate infrastructure to cater for current transport trends and needs, it is evident that such vehicles will often be subject to more minor contraventions. “This would definitely mean running numerous businesses out of business and numerous driving workers out of employment,” the CEO went on. On how this would work, Ms Psaila Mamo said the chamber was proposing that, in agreement with the government, commercial vehicles would be given a special concession. “We’re not saying let the drivers get away with everything, but parking in a no parking bay for a few minutes while dropping off goods does not harm anyone and it also stops the delivery people from blocking roads,” she added. The business owners are also asking for clarification on who would be liable when licences were revoked. “Fines should be issued to the driver and not the owner of the vehicle. If it is the case that it is impossible to stop the vehicle to issue a fine, then in that case points cannot be applied to the owner. “Business owners may have numerous vehicles registered in their name but cannot be held accountable for the points generated by employees that use cars registered in their name,” Ms Psaila Mamo added. The chamber has already forwarded its members’ concerns to the government. In the UK, where a penalty point system has been used for many years to enforce the country’s traffic laws, the number of penalty points handed out to the drivers of commercial vehicles can be ranked depending on the circumstances or severity of the offence.